Mineral Rights: All owned by Seller, if any, to transfer. UNDER CONTRACT ~ The Elk Ridge Estates are located along the Wyoming / Colorado border approximately 9 miles southwest of Tie Siding, Wyoming. Comprised of 2.88 deeded acres +/-, the subject property features a 1,152 sq. 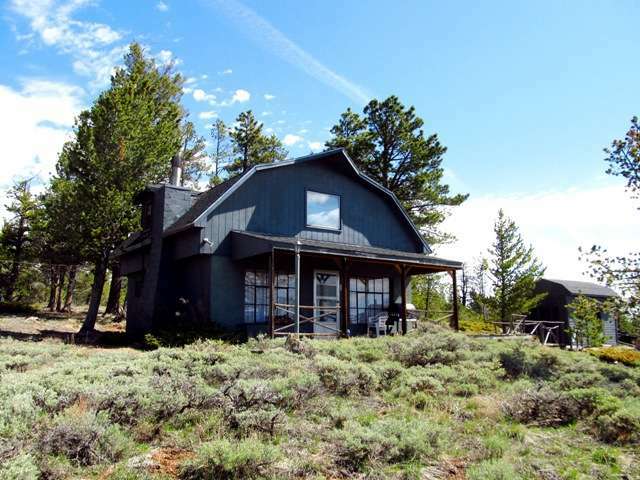 ft., 2 bed, 1 bath cabin nestled in the pines. There is power to the cabin and it also has a well and septic. In addition to the cabin there is a small garage used for storage or you could use it to park ATVs in and a smaller shed. The location of the property only adds to its beautiful views. It is approximately 25 miles from Laramie, Wyoming, 60 miles from Fort Collins, Colorado and just a few miles down the road from thousands of acres of public land in the Roosevelt National Forest! Also making their home in the Elk Ridge Estates is a variety of wildlife including Moose, Elk and Deer. To arrange a time to view this private retreat call James Land Company today.